You know the feeling. You’re passed out on the couch from a severe food coma, you’re wearing your Christmas PJs (the ones Santa so kindly left under the tree) and there’s some Christmas movie on the television (you’re not sure which one because you’re two minutes away from dozing off). In that moment, you’re pretty sure you won’t be leaving the house for at least a week. Yes, the Christmas Day ‘slump’ is one of the best moments of the festive season. We all deserve a little downtime - days where we can just eat, sleep and be merry all day long. However, there’s only so many days a week you can justify wearing those PJs, and stuffing your face with leftover Christmas dinner, selection boxes, and packets of stuffing-flavoured crisps. 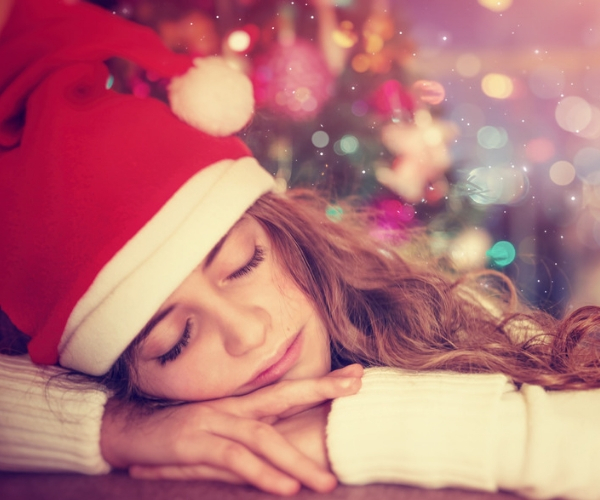 If you feel like you’re ‘over-slumping’ this Christmas, here are a few tips to get you back into the real world. There’s nothing wrong with doing zilch during your Christmas break but while you have some time off work, you should try to make the most of it. Catch up on those TV series that have been sitting in your Netflix favourites for the last six months, read a couple of those books you swore you’d read, go out and enjoy dinner with your friend (you know the one that was supposed to happen in September). The choice is yours. If you’re struggling to leave the bed for the 10th day, returning to the outside world will boost your energy levels again. You don’t need to go crazy and run 10km (you can if you want to, of course). A brisk walk after being cooped up inside for so long will work wonders. We all have our circle of friends who we see on a regular basis. But what about that best friend you had when you were 15? Sure, it’s been years since you seen other but spending time with those you’ve not seen in years is great way to boost your mood. Just think of all the blissful reminiscing involved. Christmas is all about spending time with our nearest and dearest. But being around family – sometimes constantly in the one house – for a long period of time can drive you insane, no matter how much you love them. Make sure to take time out alone this year. Go for a walk or a nice scenic drive, pop into your favourite spot for lunch and enjoy a cuppa in silence, or head to the cinema and lose yourself in other people’s lives for a couple of hours.